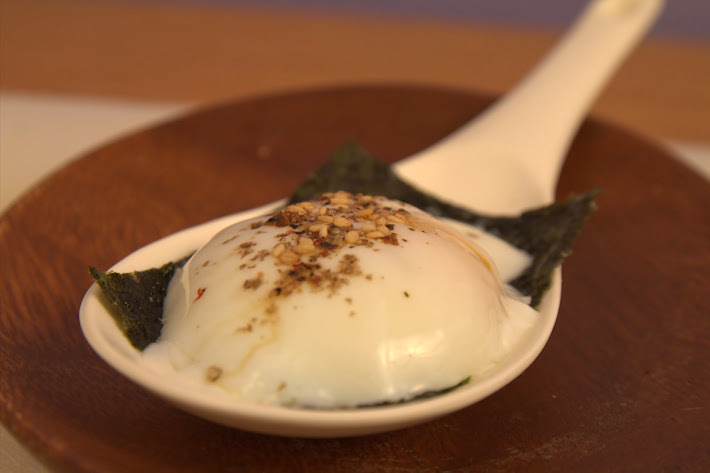 Onsen Tamago is a traditional Japanese way of cooking a slow poached egg. Traditionally, Japanese people would bring eggs to local hot springs heated by the volcanic activity on the island. They would put their eggs in the hot spring water and take them out 40 minutes later to have perfect Onsen Tamago or Hot Spring Eggs. (Salat) Debate of the perfect temperature ranges from 145 F and 160 F and the 15 degrees make a huge difference. 148-150 F is perfect for an extremely soft egg white and custard-like yolk. Water bath’s are the dumb cousin to the technique I will be referring too later on known as Sous Vide. Sous Vide cooking involves a precise water bath with the addition of food being cooked in a vacuum sealed bag for maximum flavor and minimal oxidation to the food. Heat your waterbath via any sous vide technology to 148F and carefully lower eggs in with a slotted spoon. Remove eggs after 40 minutes, serve. Salat, Harris. 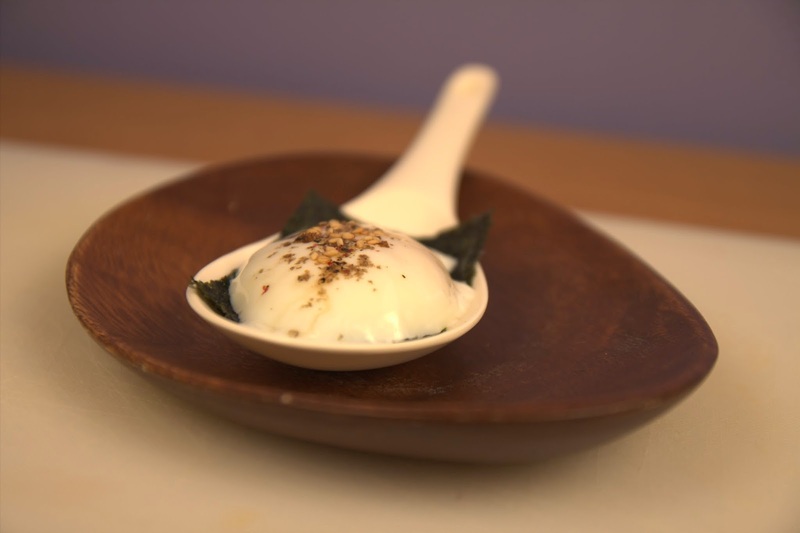 "Onsen Tamago, or poaching eggs in their shell." Japanese Food Report. N.p., 28 Dec. 2012. Web. 15 June 2014.